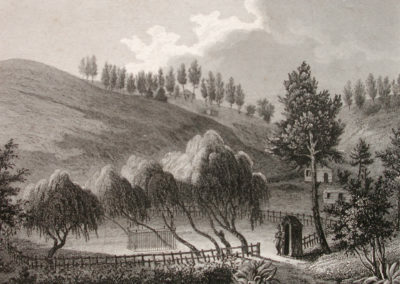 Napoleon discovered the Sane Valley in 1816 while visiting the Bertrand family at Hutt’s Gate. 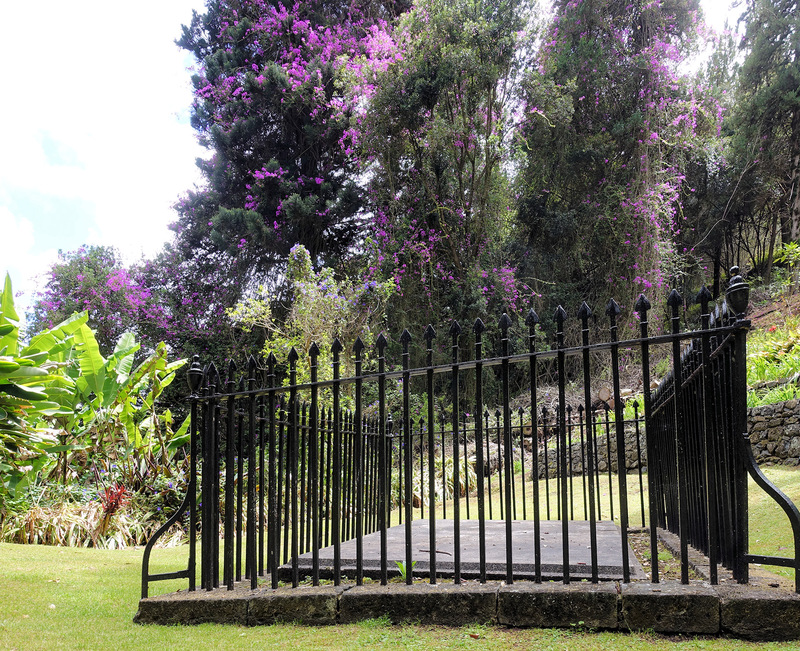 He was buried there, where he used to go for walks amongst the geranium bushes on the way to see Dr Kay (doctor for the English East India Company) and Richard Torbett (shopkeeper and Longwood’s main supplier). In fact, Napoleon himself called it the Vallée du Géranium (Geranium Valley). 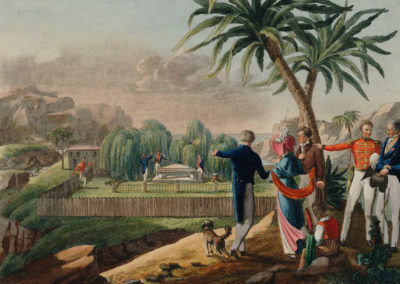 He appreciated the spring water from the valley so much that he asked for it to be served at Longwood. 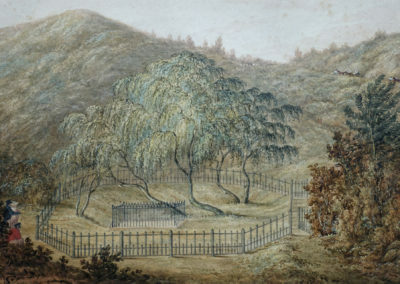 Once the Bertrand family had left Hutt’s Gate, he didn’t visit his Vallée du Géranium again, but five years later, he remembered when writing his will and confided in Bertrand. 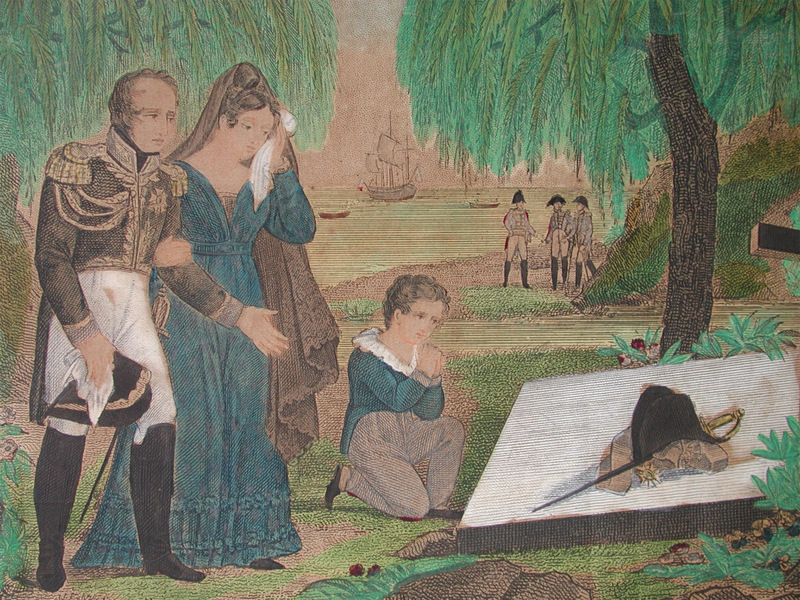 Napoleon did not think he would be buried on St Helena. He was contemptuous of the intentions of the English. They dug a grave measuring one metre in width and two metres in length. A vault was built using slabs held together with mortar laminated with sheet lead. At the bottom of this structure, the English soldiers built pillars of stone on which to place the coffins. The tomb was temporarily covered with a slab. 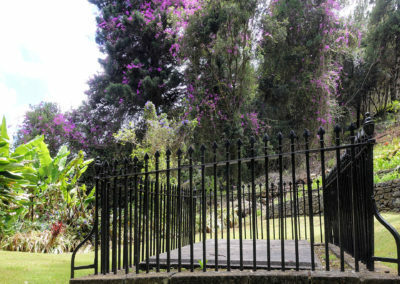 In the days that followed, the grave was filled in with three square metres of cement and soil and sealed with three heavy slabs. 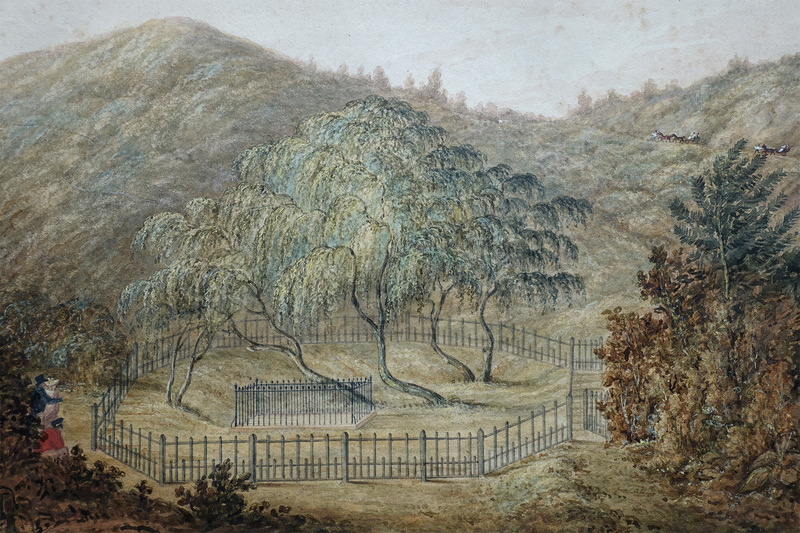 The plot was then fenced with an asphalt-coated cast iron railing, the same that had been used to fence New Longwood House. 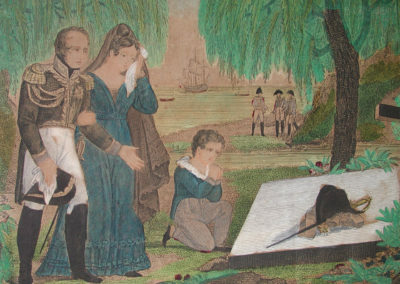 As the French and the English could not agree on the inscription, General Bertrand decided to leave the tomb blank, with no name at all. Lowe then had a sentry box constructed and the tomb surrounded by a fence of asphalt-coated wood, forming a circular enclosure thirty metres in diameter. 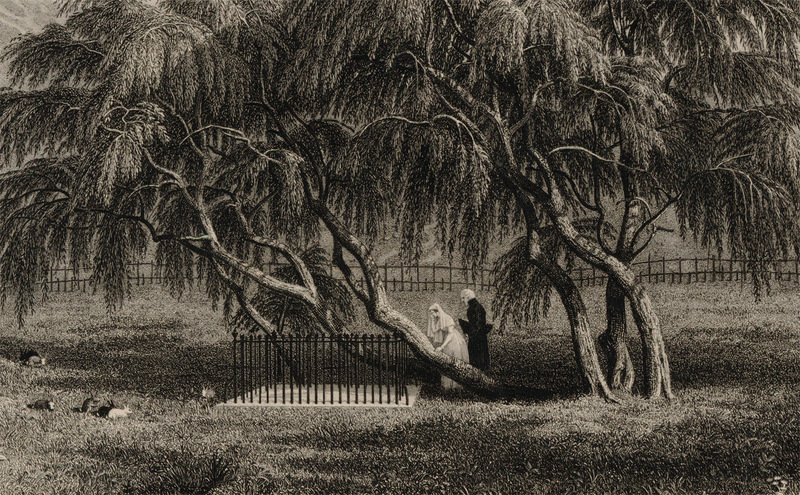 In 1840, the Emperor’s body was exhumed to be transported to France. 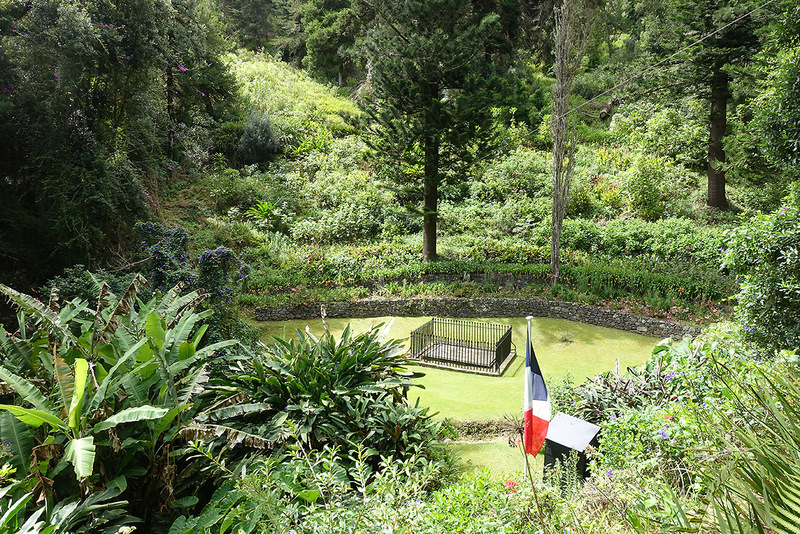 St Helena was no longer ‘the island where Napoleon is buried’, but the ‘island where Napoleon died’. 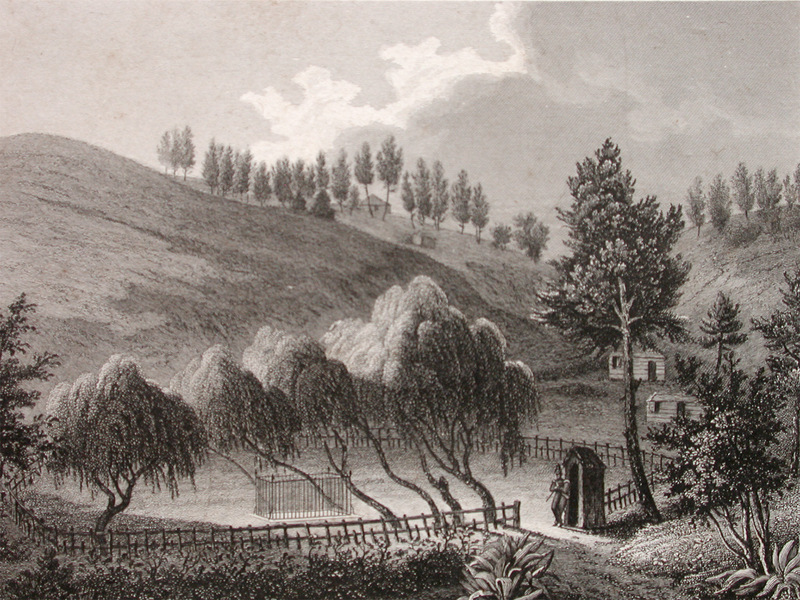 The valley is now known as the Valley of the Tomb or Napoleon’s Valley. After numerous administrative and financial transactions, in 1857, the 14 hectares of land were bought by France. However, this change in ownership did not stop the looting of the site by relic hunters: branches, leaves and roots were ripped up, and samples of stone, soil and pieces of fence were removed. In 2000, the tomb was restored. 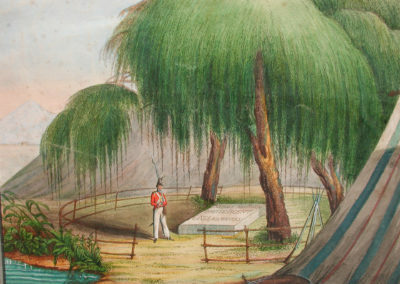 The tomb’s original components were transported to the interior courtyard of Longwood House.